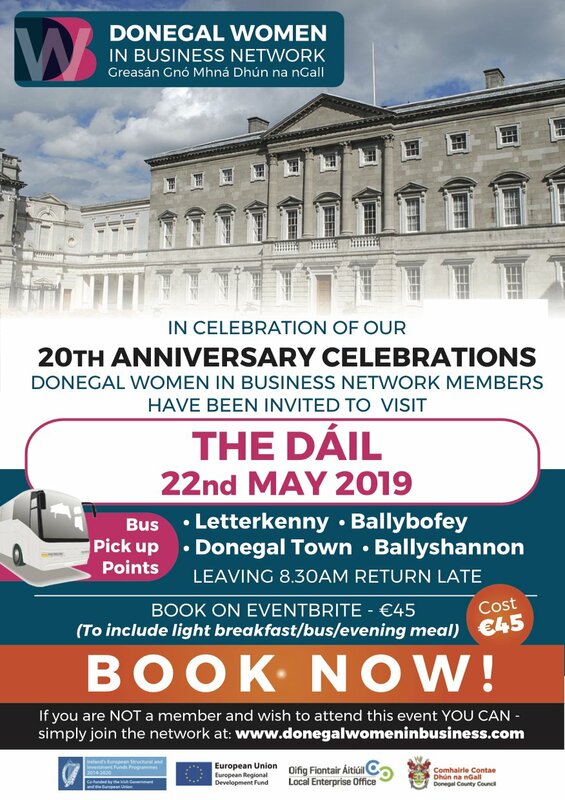 All Donegal Women in Business Network members will get first opportunity to book! Members will receive an invitation shortly to book! Don’t miss this excellent opportunity to visit the Dáil Éireann! Hot plate buffet and networking in Iveagh Garden Hotel before bus home! Further details and names of our supporters and sponsors in making this much more affordable than it should be will be released very shortly. We would like to sincerely thank our President, Deirdre McGlone, who is making all the arrangements for this! Get in touch with Trish or Evelyn at donegalwomeninbusinessnetwork@gmail.com if you need further information.